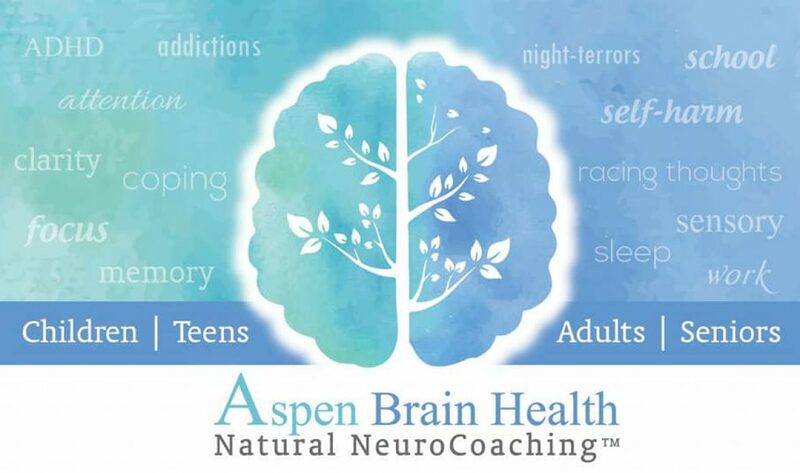 As a Dr Amen Certified Brain Health Coach, I would estimate that about 75% of my clients report this major sleep problem: they just can’t turn their brain OFF at night to go to sleep! Did you know that your brain actually has neurotransmitters that function as ON and OFF switches? I used to have this same problem, and had to take Ambien to even get any sleep; that is not very congruous for an author who writes med free books! My husband can say: “goodnight” and be snoring within 30 seconds! How does he do that?! I asked him one time how he does that and he replied, “I don’t know, I just tell my brain to turn off, and it does. It’s like an “off switch in my brain.” Ugh! I don’t have one of those I thought! Nothing seems to mess your day worse than irregular sleep, and my sleep trouble started around age two with night terrors (I will later do a whole blog on how to stop these)! I think it is important to find sleep aids from natural sources if you have trouble falling asleep on your own. For me, I sometimes need to use several tactics, especially in the fall when I still get some mild hypomanic break-through symptoms (formerly diagnosed bipolar 1). I understand that sleep is often difficult for the many people’s. There are things that can augment and compliment other natural therapies instead of throwing chemicals at a brain that may not tolerate them as well as a brain that is stabilized. THIS IS THE MOTHER SHIP of HOW TO TURN YOUR BRAIN OFF! These ones with GABA work great for me, and when I looked into why they might work, it made a lot of sense. It does not work for everyone, however, even those with racing thoughts. GABA- Many natural sleep aids contain GABA (Gamma-amino butyric acid), which is produced by neurons in the brain. It is the primary inhibitory neurotransmitter in our central nervous system. I had finally found my brain’s “off switch.” GABA can be an excitatory neurotransmitter in a developing brain, so it may have the opposite effect in children and thus is for adult use only. My favorite blend is called Theanine Serene with Relora (Amazon). Theanine- Is an amino acid that comes from green tea and can cross the blood-brain barrier. It is known for its stress relieving properties. It can cross the blood-brain barrier. As an amino acid, Theanine helps you wind down before sleep, and then once asleep, can help you sleep more soundly through the night. Many sleep blends also contains herbs and melatonin. Create a restful environment where you can sleep. My house is always cluttered, but I try to keep all of it out of the bedroom. A clean space can do wonders for peace of mind. I keep a bottle of lavender water next to my bed to spritz pillows with occasionally. My hubby loves it too. You can also try a lavender essential oil diffuser or a warm lavender bath. Make sure you have a good mattress and pillow; the foundations are important. We suffered with a queen mattress that was not very suitable to us, so I sold it on Craigslist to a new college student who loved it, and I was able to buy a king-sized mattress of even better quality for the same price that I had sold my old one. Be creative in solving problems, as it does not always take extra money. Have lights on a dimmer switch or use low wattage light bulbs. Low lighting can actually help trigger your body’s natural sleep cycle and induce melatonin. Turning on bright lights can interrupt the circadian rhythms. Do not watch TV in the bedroom or work on the computer. Do not do stimulating activities such as exercise right before bed. Instead, try journaling, especially in a gratitude journal, listening to classical or soothing music or nature sounds, writing down what is on your mind, or reading a book that is not a page-turner. Don’t drink alcohol or caffeine as both interfere with sleep patterns. Alcohol may seem to make you sleepy at first, but can disrupt sleep in the middle of the night or increase trips to the bathroom, which is obviously also disruptive. Think of things that you are grateful for as you lie in bed. Gratitude can help combat some of the negative self-talk and other things that go along with what may be going on inside your head. Shifting to gratitude is a powerful tool. Psalm 16:7: I will bless the Lord, Who hath given me counsel: my reins [heart] also instruct me in the night seasons. Psalm 29:11: The Lord will give strength unto His people; the Lord will bless His people with peace. Psalm 42:8: Yet the Lord will command His lovingkindness in the daytime, and in the night His song shall be with me, and my prayer unto the God of my life. Deuteronomy 33:12a: The beloved of the Lord shall dwell in safety by Him. 1 Kings 8:56a: Blessed be the Lord, that hath given rest unto His people. Job 11:18,19a: And thou shalt be secure, because there is hope; yea, thou shalt dig about thee, and thou shalt take thy rest in safety. 19 Also thou shalt lie down, and none shall make thee afraid. Imagining a peaceful setting can be helpful. My dad kept an erratic sleep schedule for thirty years while working as a locomotive engineer for the Union Pacific Rail Road, and he said that imagining the waves lapping at the shore and then receding further and further back into the ocean really helped him fall asleep. I remember him telling me this over a dozen years ago, so it has probably helped me as well. Drinking about 8-16 oz. of milk at bedtime, preferably warm if you like, is not just an old wives tale. My grandmother swears by it, but so does science. Milk contains tryptophan, which the body converts into melatonin, helping you fall asleep very naturally. It has never been quite enough for me to take it alone, but in conjunction with some of my other recommendations, it should help. If you do not drink milk, a slice of cheese can work also, but if you do not consume dairy products, there are plenty of other natural remedies to try. Making a cup of tea about an hour before bedtime can have both relaxation and health benefits. Green tea has been found to be a high anti-oxidant and weight-loss booster, and there are thousands of herbs that are used medicinally around the world that can be as or more effective than prescription medications. Herbs for sleep are no exception, and if you look at the ingredients in most over-the-counter sleep aids, you will find many of them are herb-based. Using these in teas is just another way to get dosing, and can be used in conjunction with most of the other recommendations. Many herbs can contraindicate with medications however, so be sure to talk with your doctor if you are on other prescription medications. Remember that many drugs are based on herbs, so just because it is natural does not mean that it cannot be powerful. There are many herbs that can be used in teas to aid in sleep. Valerian is especially helpful in helping people fall asleep, may improve the quality of sleep, and can even help with anxiety. Valerian by itself does not make a very good-tasting tea, so it is best to mask it with something else, like lemon balm and hops. According to Mark Tengler, N.D., in his book, The Natural Physician’s Healing Therapies, Valerian should not be taken in conjunction with tranquilizers or antidepressants. It took me a long time to find ones that worked for me. Melatonin by itself did nothing, nor did Valerian. It took combining several tactics until I finally found a natural over-the-counter one that worked. I recommend this one the most, but I have had to take it with GABA (see above) to shut my busy brain up. The reason I recommend it is my naturopath, Dr. Daniel Nuzum, says the best herbs for the brain are valerian, hops, passionflower, and skullcap. This one has most of them in one absorbable spray form, along with 5HTP. I read an entire book on 5HTP, and it is amazing! 1mg of melatonin per serving. This specifically proportioned amount of melatonin is gentle enough to not raise melatonin levels in the body higher than are naturally produced when the pineal gland is functioning properly, but sufficient to aid in restful sleep. 0.75 mg of 5-HTP per serving. 5-HTP (5-Hydroxytryptophan) is a chemical by-product of the protein building block L-tryptophan. It works in the brain and central nervous system to increase the production of serotonin, which affects sleep. o Cramp bark: The chemicals in cramp bark seem to decrease muscle spasms. o Ginkgo biloba: Ginkgo biloba leaves are generally used to make extracts that improve blood circulation, which might help the brain, eyes, ears, and legs function better. o Passionflower: The passionflower is a plant often used for insomnia, gastrointestinal (GI) upset related to anxiety or nervousness, generalized anxiety disorder (GAD), and relieving symptoms related to narcotic drug withdrawal. The chemicals in passionflower have been used for calming, sleep inducing, and muscle spasm relieving effects. o Peppermint: Studies have shown that the leaf and oil from the Peppermint plant provide numerous health benefits. It may aid in helping relieve muscle pain, nerve pain, digestive processes, upset stomach, and inflammation. o Skullcap: Most commonly, skullcap is used for trouble sleeping, anxiety, stroke, and spasms. o Valerian root: Valerian is an herb that has been used for centuries to help with anxiety and act as a sleep aid. Ambien used to be my sleep drug of choice, and it still amazes me that three little herbs can hold their own in medical research studies to a hypnotic drug that comes with scary side effects like sleepwalking and memory loss. This is a homeopathic sleep remedy that I found at Whole Foods market, but I personally did not find it to work for me. I am including it, however, because mine is not the only bipolar brain out there, and it has worked great for some of my other friends who have bipolar. This is a non-habit forming sleep aid that contains valerian root extract, lemon balm, L-Theanine, hops extract, chamomile flower extract, passion flower extract, and 3 mg of melatonin. I found this one effective, but I thought that others were more effective but a lot less expensive. AMINO ACIDS– An amino acid blend can help with sleep. My first experience with aminos I actually slept so deeply that I wet the bed. Yep, that happened. And I even slept through it! 5-HTP– is the precursor to melatonin production, and it worked a lot better for me than melatonin itself. In approximately fifty percent of those who suffer from bipolar, the circadian system is unstable. Internal regulation of sleep patterns is weak. Our circadian system is what allows our body to maintain a consistent 24-hour cycle of activity: being able to sleep at night and alert during the day. At different times of the day we have increased or decreased activity of certain organs and hormones. These rhythms originate in our brain but are kept in check by external clues such as light and darkness, activities, meals, routines, etc. When these are working, we feel healthy, happy, and energized, but when they are out of balance a lot of problems can occur. Using an alarm clock that simulates the sunrise. Dark Therapy- dimming lights 2-3 hours before bed or using low-light glasses can help. Even just a few seconds of bright light can trigger alertness. Consistent routines. Eating, drinking, exercising, and other daily activities are best done at the same time everyday. For example: have a small but concentrated cup of tea (Chamomile, valerian, hops, passionflower, skullcap blend would be great! ), then dim the lights around the house, play some relaxing music, drink a small glass of milk, brush your teeth, and take some GABA, then read for a while or pray before lights out. Spray the pillow with some lavender water. I usually need to also wear silicon earplugs and a sleep mask, as even a little light and noise are enough to re-stimulate my senses. It has also been helpful to get my husband a z-quiet device that helps reduce his snoring. If you are the one who snores, be sure to eliminate any underlying causes like sleep apnea. As your eyes are closed and the room is dark, try some of the visualization tips and whisper some memorized scripture verses regarding sleep. You have to apply as many of the best tips above for some of our “tougher to put to sleep” brains. Another day, perhaps I will tell you about how my sleep was miraculously healed in a prayer room, to where now I do not even have to use anything! WOW! There is no substitute for God’s Supernatural Psychiatry!